Are there days when you ask yourself if you’re happy? When we look around our world, it’s not sunshine and daisies that greet us. We escape to a foreign country to relax, and we’re greeted by gridlock when we return. Our social-media newsfeed is filled with stories about unpalatable politicians, who are supposed to make our lives easier. And as if to prove how silly our motoring landscape has become, thieves stole the LTO's license-plate sheets. What kind of BS is that? So we look forward to weekends more, to squeeze every bit of respite we can from the limited free time. From my experience, even one good day is enough to keep us sane. 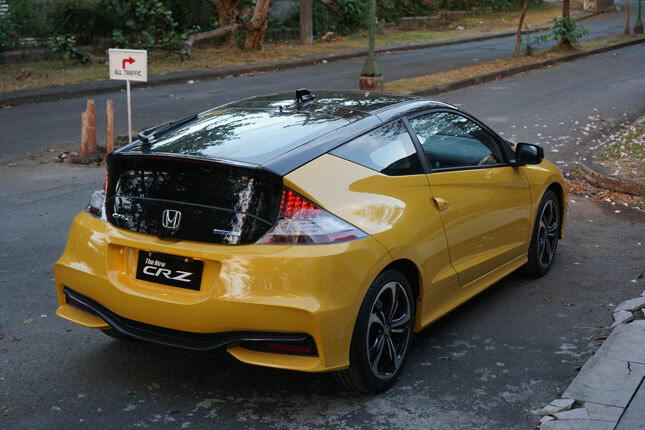 And that’s exactly what I had with the new Honda CR-Z one afternoon. 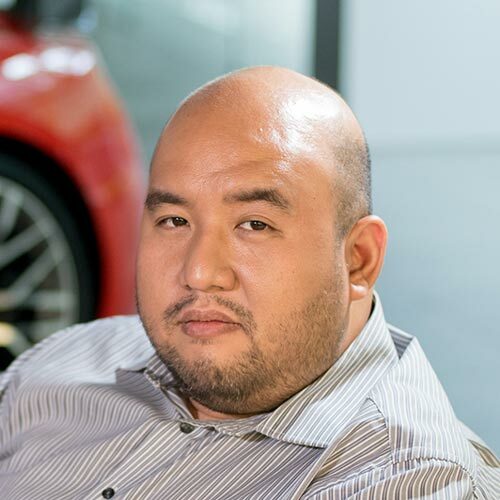 In what is becoming a positive Pavlovian response, seeing the name of Honda Cars Philippines’ Tricia Epilepsia in my inbox elicits feelings of anticipation. Because in between the usual press releases, an invitation to test-drive a new model comes up. No need for the usual follow-ups--she just invites me to try out their new cars. 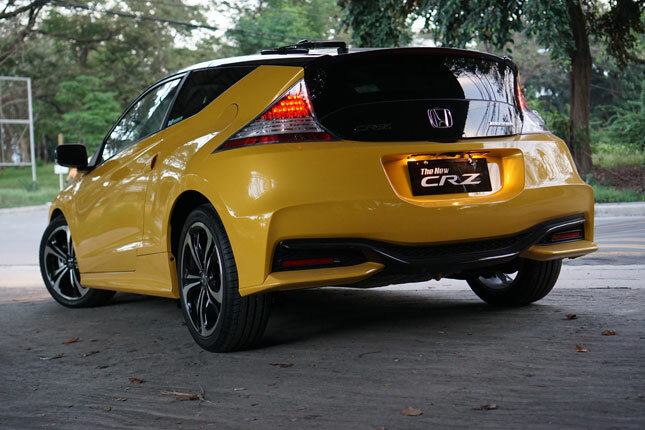 This time, it was the refreshed CR-Z in a dazzling Helios Yellow hue. As soon as Honda's driver arrived in our office and handed me the remote key fob, I excitedly went down to our basement parking to take a peek at my weekend drive. Even in our poorly lit garage, the CR-Z shimmered in the shadows. The redesign is effective. 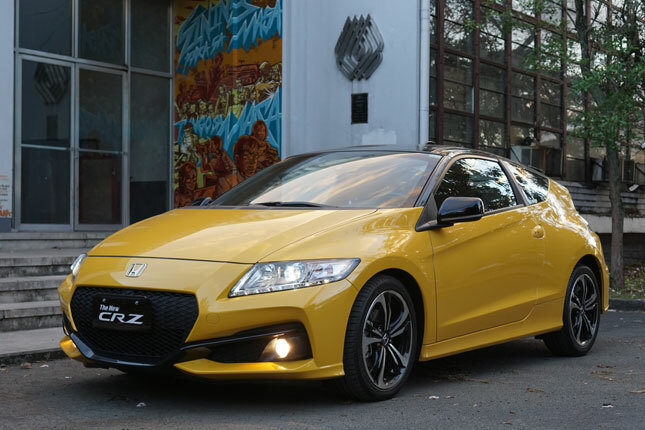 The CR-Z’s shape and profile, which I have always liked to begin with, is enhanced with a two-tone color scheme, new wheels, and shiny-black “blade” diffusers front and rear. 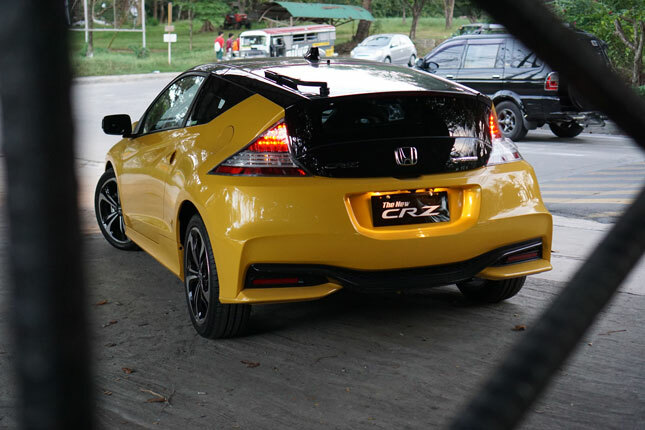 I spent a few minutes just gazing at the CR-Z, and I was tempted to whip out my checkbook right there. Well, if I had a checkbook. And if it had funds. The remote key fob and the push-button start/stop functionality are among the new things on this CR-Z. As I felt the weight of the key in my pocket, the weekend couldn’t come fast enough. Come Sunday--one of those balmy, picture-perfect afternoons--I drove around the metro to take photos of this head-turning hybrid. If Honda wanted to get more reactions with this redesign, it certainly succeeded. I felt a little conscious as pedestrians and other motorists stared at the CR-Z, probably wondering who this overfed driver was, and how he was dragging down the Honda’s fuel economy. 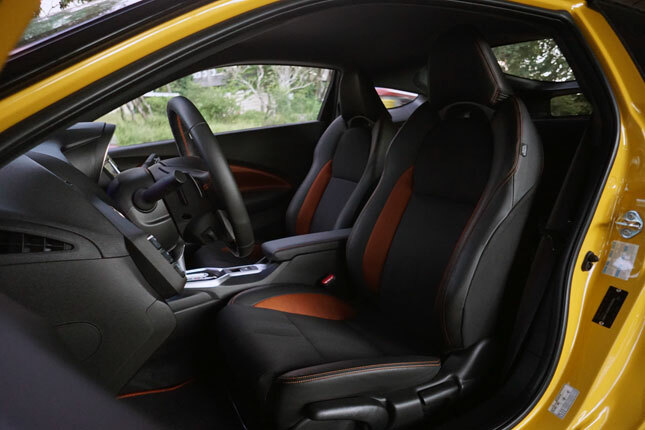 The cabin is mostly the same, but the integrated audio system is now a seven-inch touchscreen display with navigational functions and a backing-up camera. The latter is the multi-angle kind of camera view that is becoming the norm in Honda’s local lineup. Personally, I kind of miss the elegance of the former infotainment system. I don’t rely on navigation since I use Waze, so I guess the camera is the main improvement here. As we have previously written, power is unchanged. A mild increase would have been welcome, but I never had complaints about the CR-Z’s thrust--or lack thereof. You just have to ask yourself: Do you want outright blistering speed, or do you want to feel excited when you mash the pedal? I have always preferred the latter, and the CVT variant’s 133hp (134hp for the manual) never failed to make me smile when my right foot was on the accelerator. 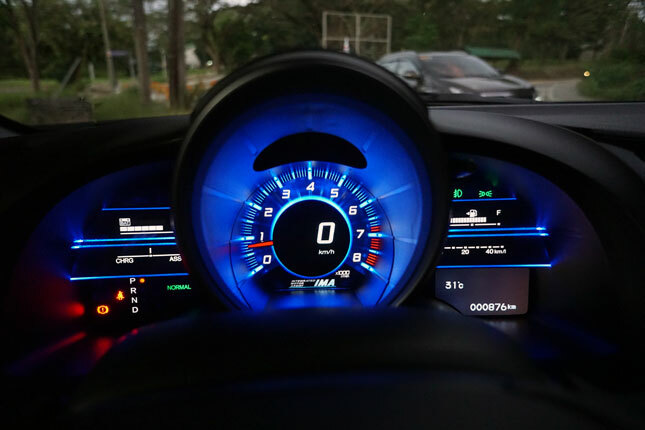 Combined with the S+ boost button, the CR-Z satisfied 90% of my speed fix. What can I say? I’m easy to please. 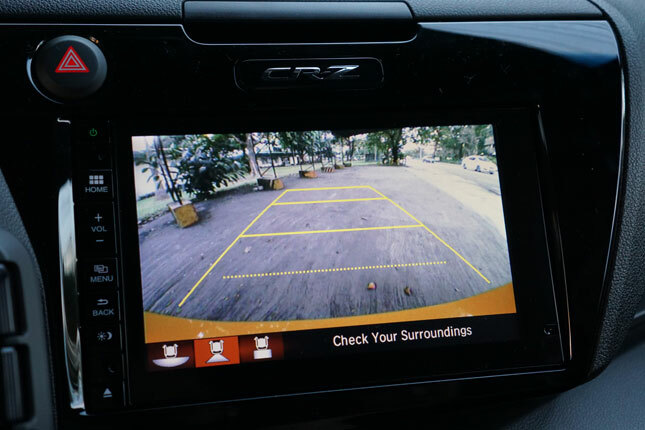 There’s a new feature that should enhance the driving experience, but has always garnered mixed reviews from "purists." These is the Active Noise Control and Active Sound Control combo that artificially manipulates the engine sound. In Sports mode, I noticed that the engine roar was noticeably louder--a shriller, higher-pitched tone. It certainly sounded exciting, even though at the back of my mind there was a niggling thought that it was manufactured. Overall, the cabin is as comfortable and handsome as I recall from before. 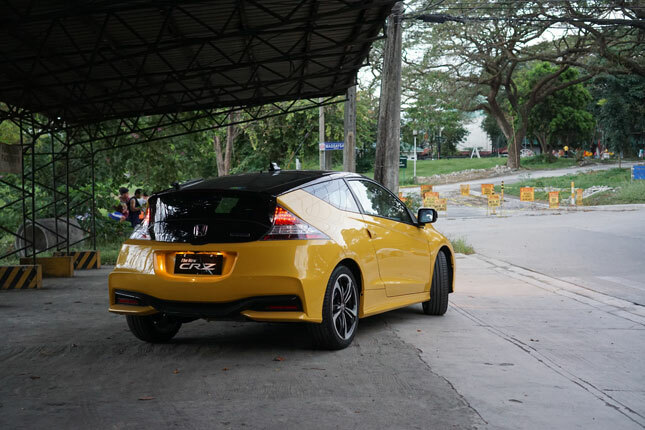 The new orange inserts are a welcome improvement, and the electric parking brake brings the CR-Z up to more modern standards of kit. While driving around, I found myself on the UP Diliman campus, and this was where I brought out my camera. 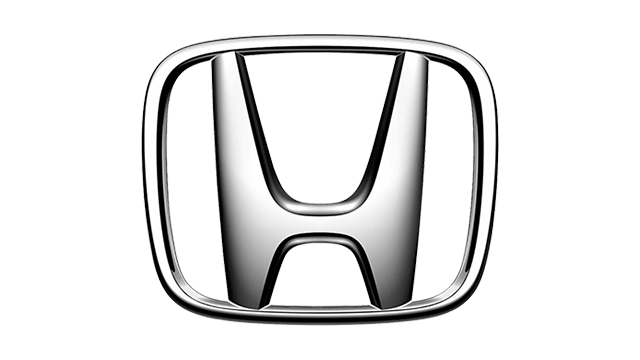 Hondas have always been favored student cars, and the CR-Z wasn’t an incongruous sight amid school buildings and university parking lots. 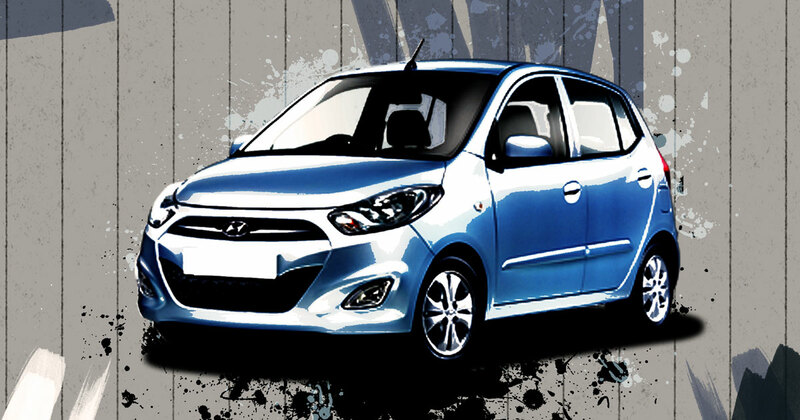 Maybe in a better world, where a fair government would have given hybrid vehicles proper incentives (read: tax breaks), a hard-working parent could give a studious son or daughter a fun little hatchback like this one as a graduation present. Instead, only the wealthy can afford to spend P1.44 million on a college car (the CVT variant we tested cost P1.53 million). And then there’s the morality of whether it’s right to give a student something this expensive. 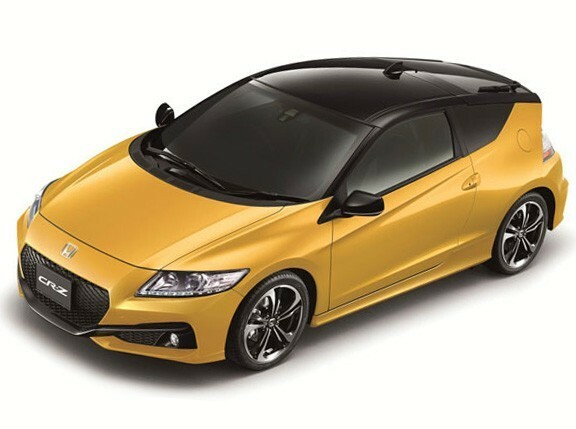 As my mind wandered along with my musings, I began to appreciate just how much better the CR-Z looked. 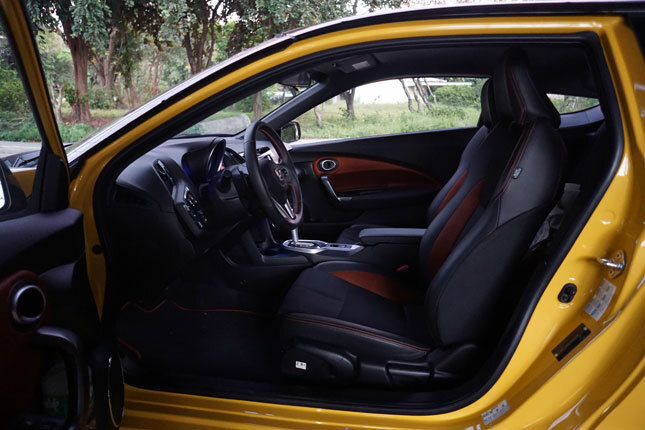 The yellow color impeccably complements the black roof and the black diffusers. The leaves and the trees reflected nicely off the glossy paint. With this more daring update, the CR-Z elevated itself from a subdued hybrid hatchback and into automotive street art. There was simple pleasure to be derived from casually driving around a minimally populated campus. The Japan-built chassis easily absorbed the less-than-optimal road conditions. 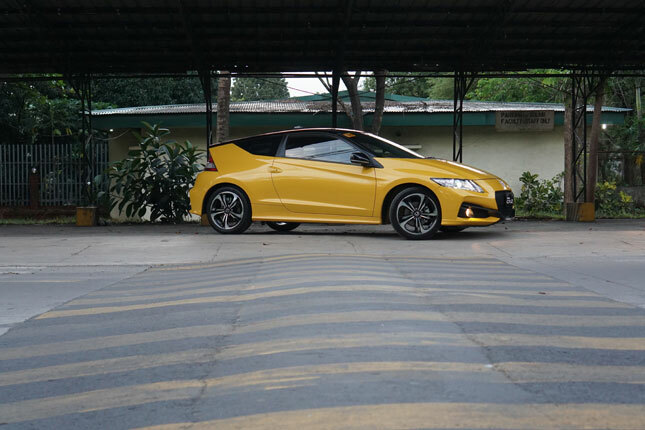 If there were potholes and large ruts, the CR-Z’s small size and maneuverability made avoiding them easy. Dusk became night, and I headed home with the familiar blue glow of the large central tachometer radiating in front of me. I switched to Sport mode and stepped on the gas. The glow of the dials turned bright red, the hybrid powerplant’s pitch became higher, and the scenes outside the very swept-back windshield became a blur. Honda said the suspension had been tweaked a little, but to me it felt like the same confident and exciting handling from the previous iteration. 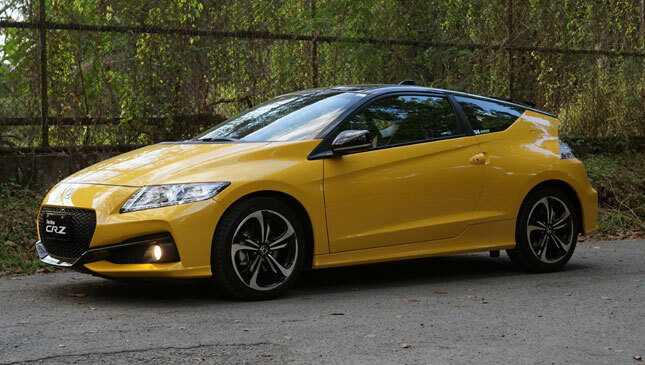 The CR-Z has one of the best driving positions in the business: low-slung and with a pilot-oriented cockpit. I’ve spent hours in this cabin, and the supportive seats have proven their worth during those long drives. 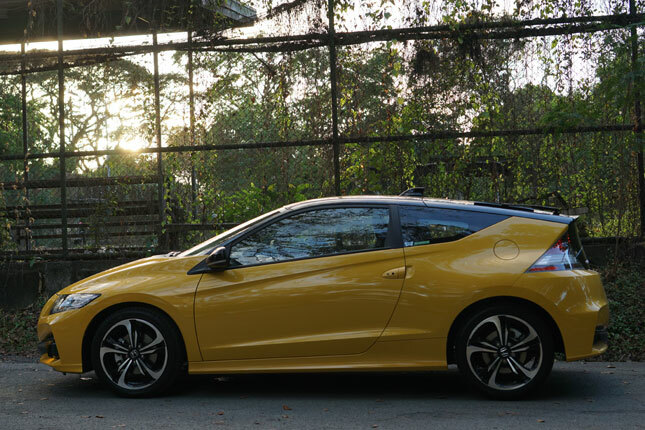 My time with the updated CR-Z was a happy and pleasant one. 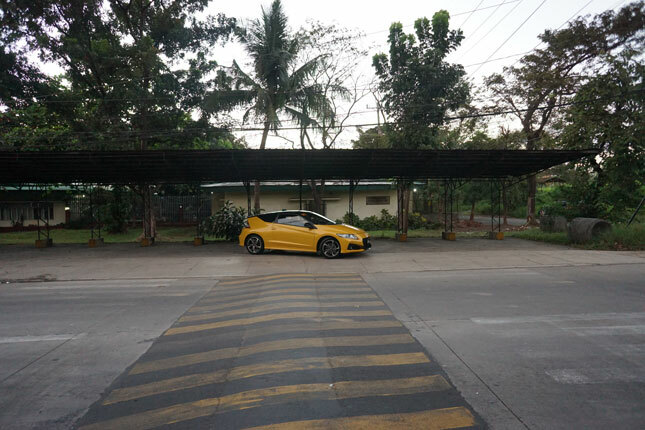 I looked forward to driving to and from the office more because Honda’s hot hatch made my daily commute more enjoyable. Even with traffic, I averaged about 10km/L. 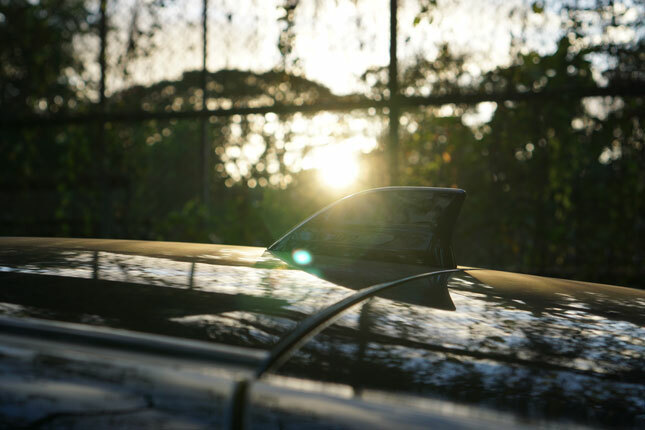 And on the weekend, it gave me a much-needed day of relaxation and leisure, just driving around and taking photos. These days, we get happiness where we can find it, and sometimes our dose of sunshine comes in the form of a hatchback with 17-inch wheels--and a little snarl tucked in for good measure.